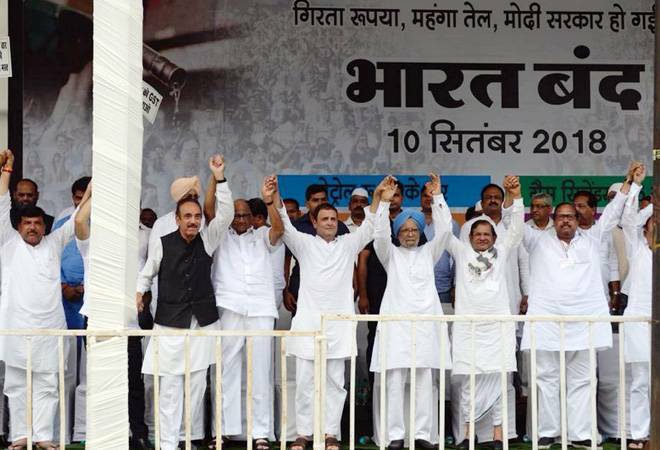 In the seventh list of candidates for the Lok Sabha polls announced by the Central Election Committee of the Congress Friday, the party declared candidates for nine Lok Sabha seats from Uttar Pradesh. Babbar was elected from Agra as its Lok Sabha MP twice -- in 1999 and 2004. In a bid to ensure a smooth sailing for Uttar Pradesh Congress chief Raj Babbar, the party reshuffled its candidates to accommodate the actor-turned politician. Another prominent name in the list announced by the Congress is Praveen Aron from Bareilly. He had won the 2009 Lok Sabha elections from the same constituency. Imran Pratapgarhiya will be the party's candidate from Moradabad in place of UPCC chief Babbar. The Uttar Pradesh state unit chief has been made the party candidate from Fatehpur Sikri. Babbar was elected from Agra as its Lok Sabha MP twice -- in 1999 and 2004. However, following delimitation in 2008, the Lok Sabha seat became reserved for the scheduled castes. Babbar got re-elected to Lok Sabha from Firozabad in bye-elections held in 2009. Bal Kumar Patel, the younger brother of dacoit Shiv Kumar Patel alias Dadua, has been made the party candidate from Banda. Patel, former Samajwadi Party MP from Mirzapur, had joined the Congress recently in Delhi. Dadua was killed in police encounters in 2006 in Uttar Pradesh after then chief minister Mayawati cracked the whip against the dacoit gangs.